Small, single, scarlet and dark purple flowers hang from arching stems from June to October among bronze tinted, dark green leaves. In frost-free areas this upright, hardy fuchsia makes a lovely, long-flowering, informal hedge. It performs best in fertile, moist, well-drained soil in partial shade with protection from cold, drying winds. Garden care: To encourage bushy growth, pinch out the growing tips of young plants after the sixth or seventh pair of leaves. During the growing season water regularly, applying a balanced liquid fertiliser each month. Cut back to the permanent framework in early spring. It has been sad to see the way this plant reacted to the very harsh weather in its first winter. I have had to cut back some small, dead branches, but am hopeful it will survive as the main branches are still alive. We did our research as we needed the plant to go well in a stony, exposed bed. It's done really well, was a very healthy plant and is thriving. 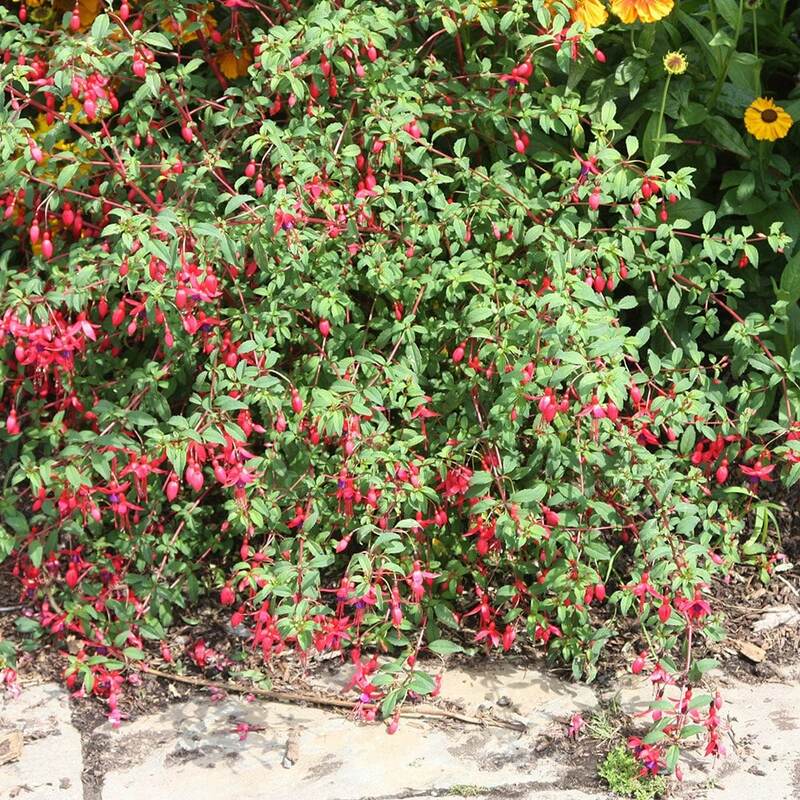 A hardy fuchsia laden with small deep pink flowers. Plants - as always arrived well packed, and look great. Price is amazing as well, BUT this would no longer by my only choice factor as quality is so important and to get both means Crocus have got my business!